When I was seeking information on the seminal 1967 photographic exhibition Modfot One I corresponded with Sir George Pollock at some length. He was most helpful and provided a wealth of photocopied information as well as many of his own recollections in response to my queries. 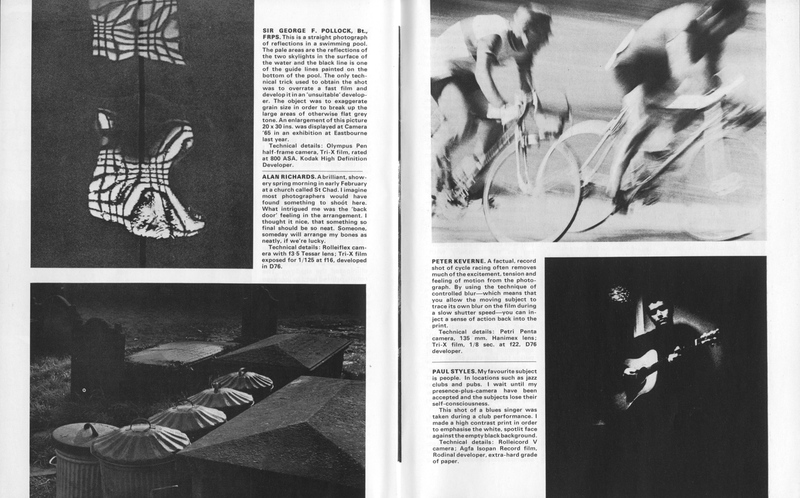 It seemed most appropriate to reproduce these recollections almost verbatim, as they give a concise background to the origins of the show and the climate for photography at the time. I have included my questions, followed by Sir George’s responses. 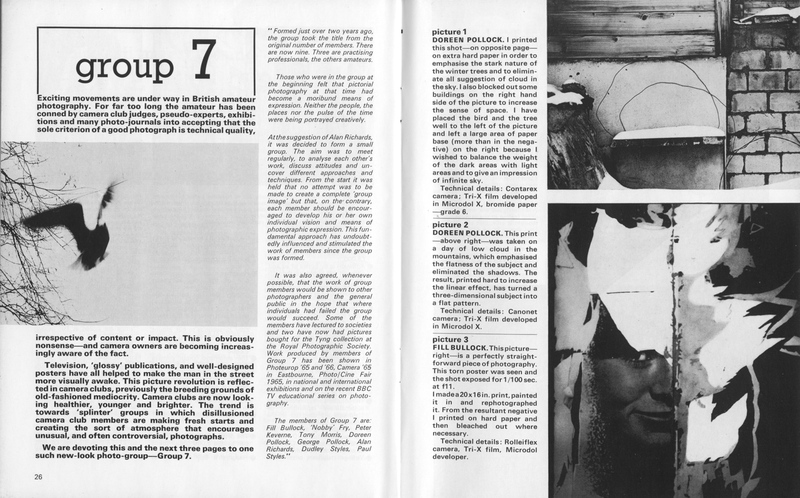 RH: I am interested to know more about PhotoGroup7, how it came to be formed, who was involved, and what it set out to do that led to the Modfot show. GP: Photogroup 7 consisted of, originally seven, members of the Croydon Camera Club, which in the early sixties was the liveliest and most progressive club in the Home Counties. We were not rebels, we just wanted something more than the club could give, and we all remained active members of the Croydon CC. The purpose of Group 7 was to have an intimate forum for very free discussion on any photographic topic that caught our fancy, and to try out new ideas, away from the inevitable restrictions of club judging. The most vocal member, and really our leader, was the late Alan Richards, a professional portrait and animal/pet photographer, who eventually gained RPS Fellowships in three categories, a rare achievement. His creative and contemporary photography was very good, and he was the key figure in the Group. Photogroup 7 was small and had no organisation – très bohémien! We simply met in one another’s houses and showed work and talked. No funding was required. We were all profoundly impressed by a splendid exhibition of modern photography called Camera 65 shown in the Towner Art Gallery, Eastbourne. This was organised by the curator, David Galer, who had been in charge of the Upper Whitechapel Gallery. The idea of mounting a big exhibition only occurred to us when we discovered that this show would not be repeated. This seemed a shame to us, but we could not have done anything about it without the support of the late Colin Osman. I believe that he financed Camera Owner out of the profits of his main magazine, The Racing Pigeon. He himself photographed rather classic nudes, but he was an early rebel against the models shaving their pubic hair, so at the time his pictures were unprintable in mainstream magazines. Bill Jay was Colin’s assistant and did much, if not all, of the editing of Camera Owner. It took quite a while to work out the basis of Modfot One, but as far as I know, no one has since had the courage to repeat it: invitation only, no selection whatever, individual photographers permitted to do anything they wanted within a certain length of wall space, or a certain floor area. We thought it would be a good idea to encourage photographers to think in three dimensions, and this offer was taken up by a number of participants, producing some very original exhibits. I believe it was a feature unique to Modfot One. The show consisted of a) work by members of Photogroup 7 i.e. Fill Bullock, Peter Keverne, Tony Morris, Doreen Pollock, George Pollock, Alan Richards – I can’t help feeling there is one missing, but I can’t think who; b) a dozen and a half invited photographers; c) the work of six Colleges of photography, who were offered more space than the individual photographers. Of course, as a result, transporting the exhibition was much harder than is normally the case and in fact Modfot One completely filled a container (“Photeurop”, of comparable size, fitted into a single case. This was an open international exhibition of modern European photography, originally organised by three clubs: Val de Bièvre (Versailles), Germinal of Brussels, and the P.C of Lausanne. I was able to persuade the Croydon C.C. to become the British end, and the first British showing was opened in the Fairfield Halls, Croydon, by Lord Goodman in 1968). RH: I would be keen to hear about the general climate for independent ‘contemporary’ photography at that time, who was involved, how well was it represented and which galleries, if any, were interested in photography. GP: By the early sixties, progressive photographers felt that there was no further development possible in traditional British pictorial photography. A number of small groups were formed to explore new ideas. The first, I think, was the Creative Photography Group, based in Hampstead, whose leaders were two people, Anya Texeira and Leonard Karstein. Geoffrey Franglen and John Stonex are the only two other members I can remember. After a while, the two leaders started trying to dictate to the others on style and content, which was of course highly objectionable, so the group collapsed, and Geoffrey and a few of the others reformed as Moment Britain. Group 7 and Moment Britain were on good terms and did at least two exchange visits. Some years later, another larger group, Kon-Tiki, was formed, whose members were better known, but its photography was not so adventurous as the first two. As to galleries, there were more available for hire than today, but I cannot remember any that were specially interested in photography – this is of course some years before the creation of the Photographers Gallery. RH: I’d be interested to know if you personally had dealings with any of the photographer participants; what they were like; of particular interest would be Raymond Moore, the man and his work. GP: I have a vague idea that it was Helmut Gernsheim who first mentioned Ray to me; he thought Ray was one of the most important British photographers working at the time. I got to know Don McCullin slightly and have almost unbounded admiration for his work and his courage. Jorge Lewinski I knew quite well as a fellow member of the London Salon and fellow teacher at the Barry Summer School, also because I did part-time teaching at the London College of Printing for a time. For me, his portraits of artists were far superior to Snowdon’s, but as you no doubt know, Jorge’s book was pre-empted by Snowdon’s, and he lost out. Apart from anything else, Jorge’s technical quality was first-class; he used an Ideal Format camera and printed on 24″ x 20″ paper. RH: As Camera Owner magazine was closely involved, I’d be interested to know how that came about; how the show was funded at a time when photography was not so well recognised by the ‘cultural establishment’; and the involvement of Bill Jay in bringing the show to fruition. GP: The driving force at Camera Owner was Colin Osman, at the time Bill Jay was essentially his assistant. 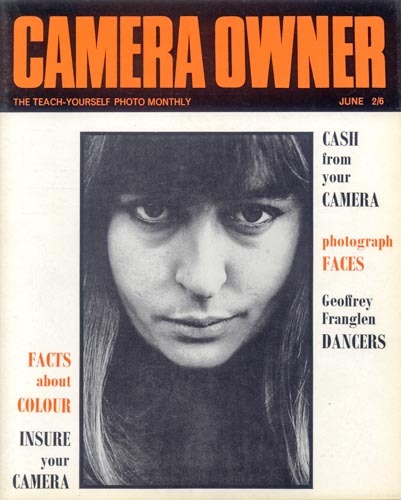 May I draw your attention to the issue for June 1966, and also to the July 1965 issue of “Good Photography”, both containing articles about Photogroup 7. You may also find my article “the Art of Photography” in the A.P. for 31 Aug. 1966 interesting. RH: For the show itself, and for the sake of ‘completeness’, I would be keen to know how many pictures were exhibited, how far afield it travelled and were there any published reviews? Also, what happened to all the work after the show finished? 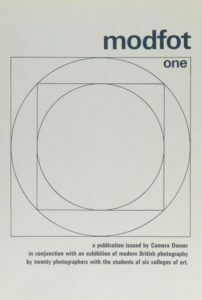 GP: I have a press cuttings book on Modfot One. I am afraid I cannot let it out of my possession, but I find in it an article in A.P. for 3rd May, 1967, a mention by the art critic Edwin Mullins in the Sunday Telegraph for 7th May 1967, article in RPS Journal July 1967, article in Practical Photography July 1967, and notices in various local papers. The “Sparkasse der Stadt Köln” sent me a whole book of notices in their press – with translations, thank goodness! I will post you a copy of the letter I received from the British Council’s representative in Germany at the end of the German tour, and also a complete list of venues with dates, etc. I will also take the liberty of enclosing two articles of mine which appeared in the A.P. 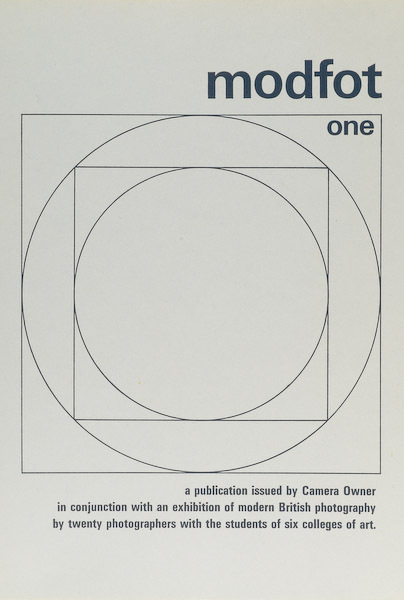 for 31st August, 1966 (in it I argue that Photography is a mental process) and in Creative Camera for January 1968.